As a triathlete, running is a major component of my training. I got hooked on to triathlon towards the end of 2011 when I did my first Sprint triathlon and immediately decided I would race in an Ironman ten months later! I was a self-coached athlete at first. I figured my way through the sport by asking other experienced triathletes for their advice and scavenging through the internet to soak in as much information as possible. I had a basic heart rate monitor and stopwatch to record my training – no other gadgets. Power provides instantaneous feedback on your output and therefore removes any guesswork on how hard you are pedaling. Power is unaffected by your cardiac health (which does affect heart rate). Power enables you to track performance consistently over a period of time. After 3 years into the sport, I invested in a power meter! Yes, it took me that long but let me tell you that it was one of the best investments I’ve made (alongside purchasing a foam roller). I noticed improvements of over 40 seconds in my 40km cycling time trial and it was all down to the fact that I was better able to train at the right intensity every single time I rode my bike. 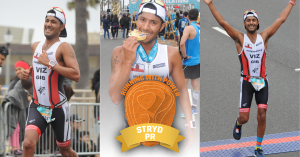 When I heard of Stryd, I knew I had no other choice but to get my hands on one of the Stryd power meters and similar to my cycling performance, I’ve seen substantial improvements in my running. I’m not just saying it for the sake of it but I have data to support my statement. I received my Stryd power meter in December 2016 and it was as if Christmas came early for me! I immediately downloaded the app and registered my profile on the Stryd Power Center. Two months later I ran my first race of the 2017 season – the Surf City Half Marathon in Huntington Beach, California. Not only did I beat my previous half marathon time by 3 minutes, I also set PBs for my 5km, 10km and 10-mile splits! How did I use the Stryd power meter during my training? How did I pace myself during the race? Before I continue, I would like to clarify that Critical Power is the power you can sustain for a long period of time (anywhere between 30mins to 2 hours). My advice to you is that if you are training for short distances, use either of the first three options of the Critical Power Test Method. If training for longer distances such as half or full marathons, I recommend using the 10km estimate. This is because you are likely to run harder if you know that you are only running for a short period of time. Therefore your Critical Power and subsequent power zones will be higher than needed if training for a half or full marathon. I used my previous 10km PB to determine my Critical Power and power zones. Knowing my power zones, all I had to do was run within those zones! It’s as easy as that! My winter training consisted of 4 runs each week (in addition to my swimming and cycling training). I did a steady run every Tuesday and Thursday evening for 70mins. Every Saturday I would do a short 15-20 mins run at threshold after a 3-4 hour bike ride. Sunday mornings were reserved for my long runs (2 hours). All my steady and long runs were performed at an approximate average power of 240 watts. My short run on Saturdays I tried to keep at 260 watts. Below is a screenshot from a steady run I did on Jan 12th, 2017. You can see that I maintained an average power of 239.9 watts and that my power was consistent throughout most of the run (see the profile of the graph). Once you’re dialed in with your power zones, the next important step is to be consistent. Not only should you be consistent with the number of the training session you perform each week but also with remaining in the power zones when you train. Even if you feel that you can run harder, you must control yourself and remain within the power zones. 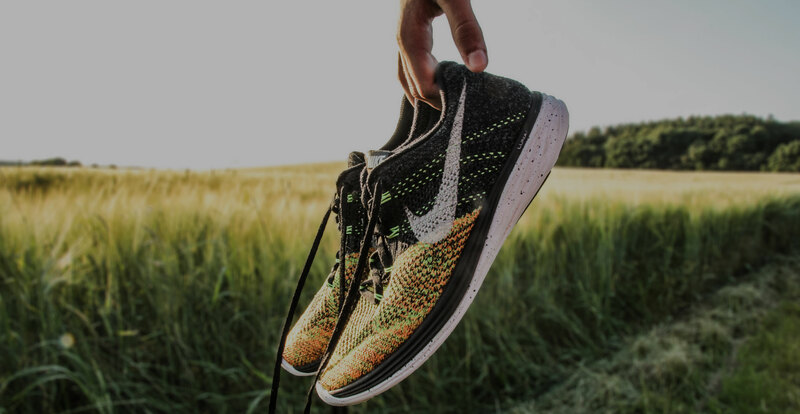 Don’t forget that for long distance running, the essence of the steady run is to improve aerobic capacity and develop your musculoskeletal strength. This can only be achieved at moderate intensities. I’m sure you’ll get to the big day feeling very energetic, well-rested and determined to record a new PB! With all those miles behind you, all you really need to do is use your Stryd power meter to monitor your power and pace during the race. When I ran the Surf City Half Marathon, my aim was to run within my threshold pace and power. I targeted a 3:50-3:55min/km pace and power of 270 watts based on the calculation from the Critical Power Test Method (see above). The calculations were spot on as I was able to hold that pace and power throughout the race! The screenshot below shows the data and the graph shows how I held a constant power throughout the majority of the race. I ran my fastest half marathon and in the same race, I set PBs for my 5km, 10km and 10-mile splits! I was truly empowered by Stryd! The advancement in technology is phenomenal. Using a power meter can substantially improve the way in which you train and race! Please don’t get me wrong; I am not encouraging you to simply follow the numbers on your watch and forget about your running technique or how you feel during your training sessions. The message I want to get across is that the Stryd power meter is an extremely useful tool and should be used to guide you – not dictate you! If I can improve my running performance then so can you! Be consistent, train smart and enjoy the process – the results will follow!